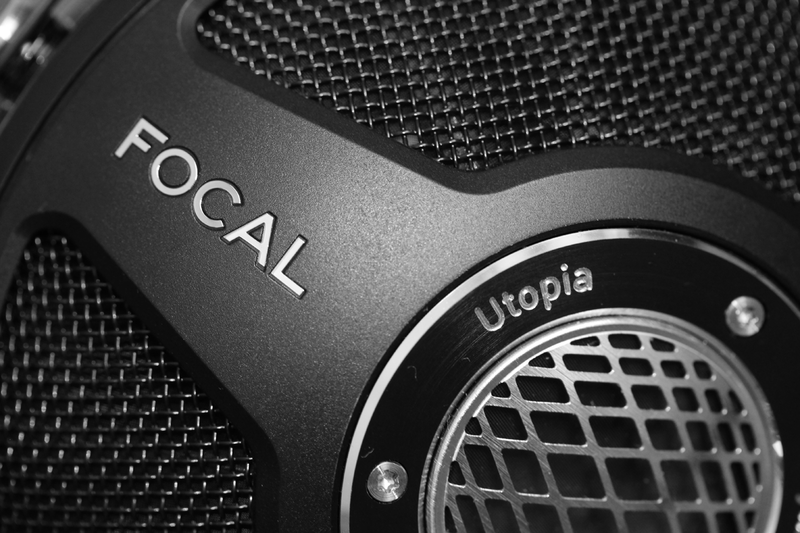 The Focal Utopia was received on loan from hifisolutions.nl. 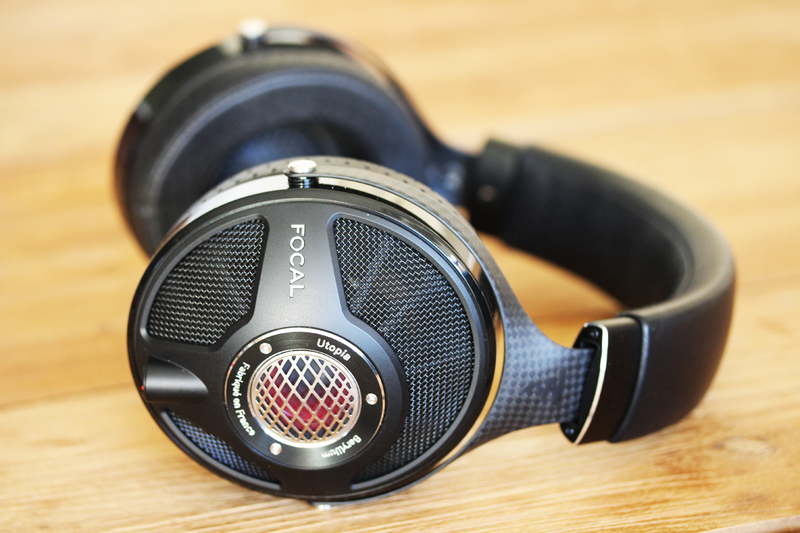 Focal is a renowned speaker manufacturer, so they made waves when they announced their foray into the headphone world. And not without success, for the Utopia instantly made a lasting impression in the headphone community, being bombarded as the new headphone ‘to beat’. I’ve managed to keep my distance from the headphones so far, but a friend’s persuasive praise for the Utopia got the better of me. An additional factor that pushed me over the line, was the Utopia’s efficiency. One of the most important reasons for staying away from headphones has been the additional hassle of dealing with external dacs, as I’ve always been a strictly portable listener and rarely listen at home. But since the Utopia can even be powered by daps (at the bare minimum at least), I was left without excuse. However, take into consideration that listening was done via the A&K SP1000 Cu. The Utopia seems somewhat confused in its identity, albeit in a rather endearing way. 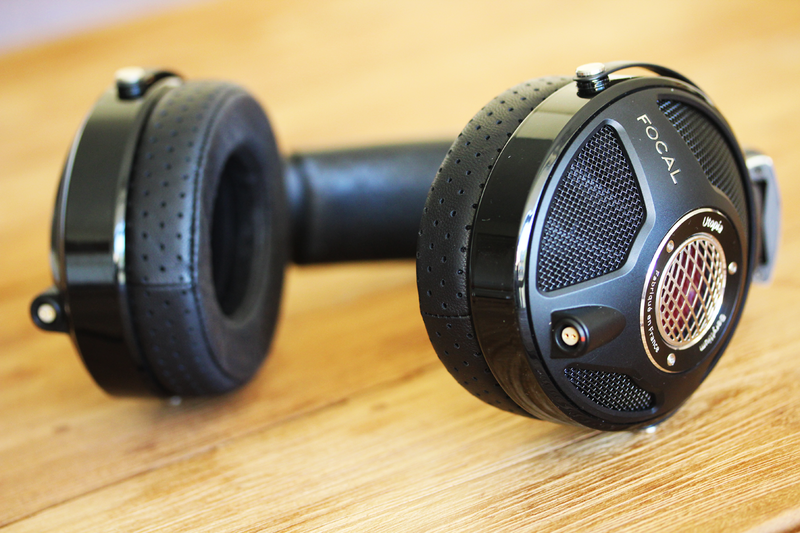 It isn’t particularly spacious in overall dimensions, baring closer resemblance to an iem than a traditional headphone. Similarly, its instrument and vocal size is pretty close to neutral. They have sufficient body, without sounding overly full – again, for an iem. But where it surpasses its miniature counterparts, is its resolution. And although its stage might not be especially large, its quality again supersedes that of an iem: the background blackness, sense of depth, and precision in layering. The Utopia is a headphone that grew up deciding it would be the best possible iem it could be, and absolutely nailed it. The result is a somewhat condensed, but perfectly crystalized image. Admittedly, when I initially heard its bass I was somewhat disappointed by the extension, which could be better. As a result, the sub-bass is not exceptional in terms of visceral impact. However, this eventually made place for a newfound respect for the control, speed, and especially resolution of the mid-bass. And make no mistake, the mid-bass is punchy and impactful, so this is an engaging bass by any means. But it especially shines with (fast) bass-lines. The resolved bass notes are a delight to listen to, while laying a foundation for the rhythm of the music. It’s a somewhat technical presentation of the mid-bass in terms of speed and decay, but executed in a musical way due to its resolution and tonality. In addition, the tight response and quick decay plays an important role in maintaining the airiness of the stage, which contributes to its top notch separation despite the relatively limited space. When it comes to tone, I’ve heard mention that the Utopia has been referred to as the (64 Audio) A18 in headphone form – a proposition I am inclined to agree with. And not without reason, for both the A18 and Utopia combine enhanced upper mids between 2-4 KHz, with a lower treble peak around 6-7 KHz. As a result, the lower treble is a bit forward with an aggressive bite, but tonally beautiful. But most of all, it gives a melodious coloration to the pronounced upper mids (the “ooh’s” and “aah’s” of a background choir light up the stage spectacularly). Overall, there is a euphoric quality derived from its upper mids, which undoubtedly served as inspiration for its name. I wouldn’t necessarily classify it as natural per se – but that doesn’t mean it doesn’t sound good, for it truly does. But much like the A18, it’s a type of sound that steers me towards electronic or pop music, as more than anything synthetic melodies capitalize on those brighter and energetic upper mids. Especially since the matching treble notes are not only high in definition, but quick in decay. And importantly, the Utopia outclasses the A18 when it comes to its presentation: its resolution, and the overall focus of the image. The Utopia’s vocal presentation is pretty neutral, with a sightly laid-back stage positioning. Especially male vocals are a bit on the leaner side, although they maintain a sufficient amount of density to sound focused, rather than thin or diffused. Nevertheless, in terms of tone, body, and forwardness, the Utopia wouldn’t necessarily classify as a vocal specialist, although it equally doesn’t really underperform either. Vocals perform adequately, and their laid-back position puts them right in the center of the stage, effectively enhancing the sense of three-dimensionality. However, especially male vocals could sound a touch warmer to sound natural. In addition, there can be traces of sibilance in sensitive tracks, although I wouldn’t generally describe it as harsh by any means. As it happened, I just demoed a Mr. Speakers Ether C driven by a Burson V2 right before testing the Utopia. Probably anybody that has heard it can attest to the fantastic bass it produces: engaging sub-bass, thick mid-bass impact, natural decay; in sum, a bass that can best be described as nothing short of delicious. Pursuant to its enhanced mid-bass, it produces especially full-bodied instruments, resulting in the full sound one might expect of headphones. But its stage wasn’t much larger than the Utopia’s, which becomes problematic. The separation suffers, as the larger notes cluster in a relatively claustrophobic space. This perhaps best illustrates how the optimal proportion between Utopia’s note size and stage results in a highly detailed, yet sufficiently engaging sound. The Utopia is higher resolved, while sounding significantly quicker, and more agile. Its layering is more precise, and overall, the level of detail is noticeably higher. However, this still might not be enough to dissuade people that love their bass from the Ether C, as it remains a powerhouse by comparison. Besides, the Ether’s midrange is warmer, and its vocals more forward and bodied. Even so, it seems to share a similar lower treble peak, which doesn’t make it significantly smoother by comparison. I hadn’t read up on the Utopia before listening, but picked up a few tidbits of information here and there. When reduced to a few keywords, the Utopia seemed to be described by its high resolution, bright tone, and most frequently, its intimate stage. Admittedly, I was warned beforehand – several times – but I wasn’t disappointed by its stage. Naturally, people tend to appreciate the large space a headphone has to offer. But from my experience, even though a traditional headphone might offer a substantially larger stage, not all of that space is used. Oftentimes, it’s as if there’s a corridor around your head with empty air, and the placement of instruments only start beyond that point. So the perceived space might be larger, the employed space isn’t necessarily. Furthermore, in an attempt to create that space, the resolution and imaging drops. So yes, Utopia’s stage dimensions are not particularly large, and can even roughly be matched by some top-tier iems. But the precision within the stage is uncanny. Not only does the Utopia provide an exceptionally black background, the contrast is increased by the resolved and slightly brighter notes. And by keeping the note size proportionate to its dimensions, Utopia doesn’t require a large stage to feel spacious – its separation is exceptional. Especially since its resolution, and accordingly, precision of imaging, is so high, you never feel you are missing a single detail. The Utopia simply trades a large, but diffused stage, for a compressed, but highly focused stage. It really just comes down to one of those quantity versus quality tradeoffs, where I could easily live with the latter. But of course, my own brain has been conditioned for iems over the years. Furthermore, the Utopia has the practical advantage of being driven easily, which was a primary factor of interest for me personally – even though I have no doubt it will scale up with better sources of course. Overall, the Utopia can be considered an engaging headphone, with a stimulating and exciting signature, due to a slightly brighter tonality. But when driven with a smoother source such as the A&K Ultima Cu, it didn’t come across as harsh or bright. It could be a bit warmer to sound completely natural, as could its vocals be a touch more forward – but there’s undeniably a certain magic in Utopia’s euphoric and fast-paced sound. Great to read your take on the Utopia. Considering that I’m a full-sized headphones guy, I’ve been asking around what is the IEM that can give a comparable performance to the Utopia, and I’ve been told its closest resemblance would be the tia Fourté. I’ve asked you before about Fourté, and I’m still hopeful of someday reading a full review of the Fourté from you Sir when the chance arrives. Yes you are right, Fourte also shares similarities with Utopia. In terms of staging and resolution, Fourte is closer to Utopia than A18; both Utopia and Fourte have a similar 3D stage with even proportions between width and depth, and higher resolution, more precise imaging, and a blacker background than the A18 for instance. Both Fourte and Utopia also share a similar 10 KHz peak I believe, so there’s also that. However, in terms of midrange body and tone, Utopia would be closer to A18. So in a way, Utopia shares characteristics of them both; with staging and performance erring closer to the Fourte, and midrange and tonality closer to A18. The store in my city will have a Fourte soon btw, so I will borrow it for a couple of days and get back to your comparison question between A18 and Fourte. I had to lay down after reading your reply!! I’m super psyched to hear that! I truly hope to read your comparison between those flagships. I’m going this far after Fourte because I crave imaging, transparency, resolution, and micro-detail. I enjoy my music best if I’m able to look DEEP INTO it through the layers. As for tone, when I contacted my far away local shop the first thing they had to say about Fourte is warning me about its bright highs and being bass-light. That’s actually to my liking. I’m more interested in the mid and high ranges and would like to stay away from thumping bass. Having that hammering on my skull gives me headaches. I prefer “listening” to music through IEMs rather than “feeling” its punch. If it isn’t much of a hassle, would you please include Andromeda and Utopia in your comparison? There are similarites between all of these exceptional headphones. It would also be of great value to know of any significant differences in sound quality between Chord Mojo and Astel&Kern as sources. Thank you for your impressions. How do you think it compares with the Audeze Lcd i4? Hi Vel, that’s an excellent question. The interesting thing is that Utopia kinda feels intimate for a HP, but when you directly compare it to the i4 it is still more spacious, bodied, and impactful in terms of bass. Utopia has a more transparent and energetic signature, and especially shines in its upper mids, due to its slightly bright tone. By comparison, the i4 has a more neutral/clear tonality – without DSP. So, Utopia is a bit more exciting. With DSP adjustment however, i4 has a warmer, more natural midrange, giving it an edge in timbre. The two are pretty different, but overall Utopia is nevertheless on a higher level. But of course when taking its price and the fact that it is a full-size open HP into consideration, this should be expected. Thank you! I was secretly hoping they would be on a similar level sparing the differences in their tonality. I have heard a good amount of car audio focales and it seems they have carried over their signature tuning to their headphones as well. Do you find sibilance because of the 6-7 kHz peak? Because that used to be a problem in their in-car counterparts. Sorry I just re-read the review. Yes there can be some traces of sibilance, but I think it will depend mostly on the source how much it comes out. I heard it mostly in sections of tracks that are prone to sibilance, rather than it being excessively sibilant.